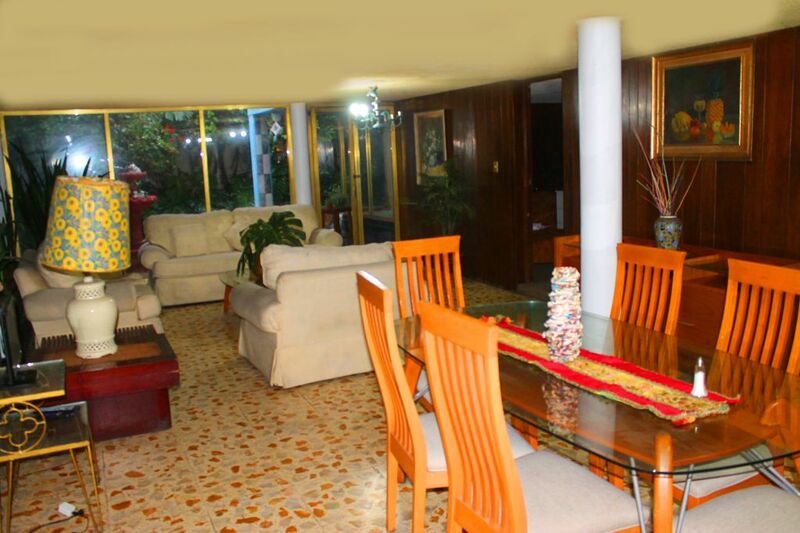 The House is very large ideal for long stays, has everything you need for a pleasant stay. It has 2 bedrooms, three beds for 5 people and 2 full bathrooms. It has a very nice view towards a bougainvillea garden in the back of the house. It has its full kitchen, with large refrigerator with refrigerator. It is a very large house and is very well located. You can access the entire house that is shown in the ad.